Gold is making a comeback. And, I can’t get enough. This coming from the girl who despised yellow gold in the 8o’s and 90’s. Rose gold has earned a special place in my heart. I’m not the only one. From office supplies to electronics to iPhones to engagement rings, you can find rose gold gifts at any price point. Just remember, a pop of rose gold goes a long way. A step too far and you’re channeling Liberace. Mother’s Day is almost here. Here are some great gifts for you or a mom in your life. This post contains affiliate links. If you make a purchase through one of them, I may receive a small commission. 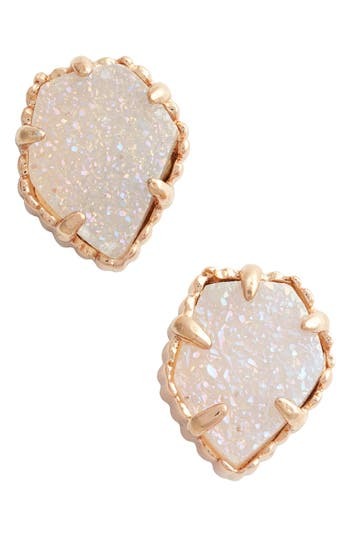 Kendra Scott earrings add a bit of glamour to any outfit, without the high price tag. I’m a fan. I live in my Toms all summer long. I also support their philanthropic efforts. 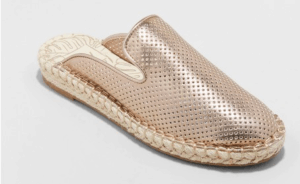 A metallic sheen adds some style to this uber-comfy shoe. Now that I think of it, Apple probably introduced me to rose gold. When I upgraded my iPhone a couple of years ago, I searched from store to store to locate one in rose gold. Not that you can see it anyway, covered with my case, but I know it’s there. When I decided to get an Apple Watch, there was no question in my mind, it had to be rose gold. I wear my watch all day long for any occasion, and I never tire of looking at it. Unfortunately, Kindles only come in basic black or white. Time to step it up, Amazon. I have this same case in another color. It protects very well, even from a teething puppy. If you grew up in the 80’s like I did, you know these are not quite the original. I can still feel the wooden sole slamming against the heel of my foot. Now, a rubber sole cushions your foot. Last summer, I completely wore my cheap pair of rose gold sandals out. 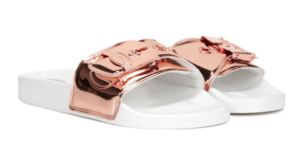 These slides are on my must-buy list for summer. I retired my Uggs after this long winter and switched to wearing these shoes almost every day. It’s not the first time I’ve written about them. Not only are they super comfortable for running around town but they also look exactly the same as the day I got them, despite their excessive use. If you want just a touch of color on your feet, this is your shoe. 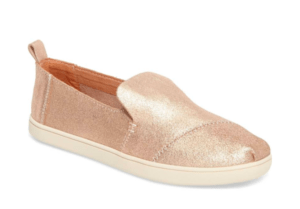 Side note: I spoke to Target today and they told me that these espadrilles should be available soon. How cute are they? Rather than shopping for the next big trend, I often stick to basics and accessories. 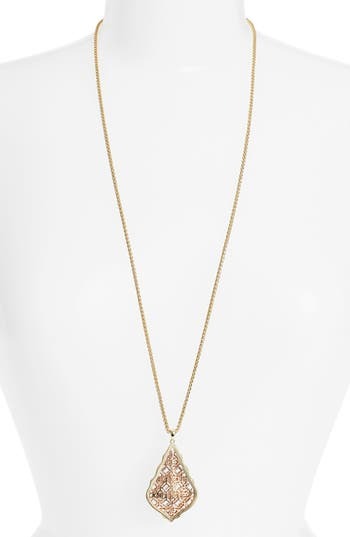 This necklace, again by Kendra Scott, adds a vintage yet current look to any outfit. Meant to inspire, this bracelet by MantraBand speaks to me. In the craziness of a day, sometimes we all need a reminder to enjoy the journey. You can stack their other bracelets with messages like “dream, believe, achieve” and “I can and I will”. I bought two of these for the fireplace mantle in my bedroom about eight months ago. I may still have the stock photos in them, rather than darling photos of my children. They still look lovely. 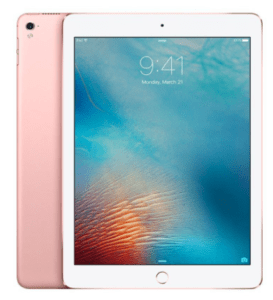 If you need a new iPad, this one has everything you could need, including tons of storage. I own a collection of power bank chargers for my iPhone. I keep them in my bag, car, junk drawers, and still, I find myself with a dead phone. You can’t have too many of these. This one comes with both an Apple and Micro cable. Everyone needs that designated place for their valuables. This modern ring holder looks like a piece of jewelry itself. This French Press makes great coffee (read the reviews), keeps it hot, and looks pretty on your kitchen table or counter. 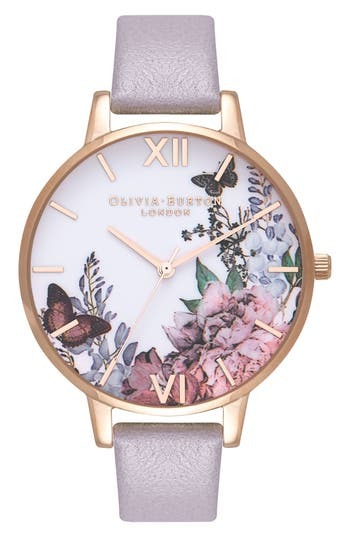 Olivia Burton makes beautiful watches. You’ll have a hard time deciding which one to get. Toothbrushes are fancy these days. It has Bluetooth, LED lights, and an extended battery life. These bestselling on-ear Bluetooth headphones work wirelessly and have 40 hours of play before needing a charge. 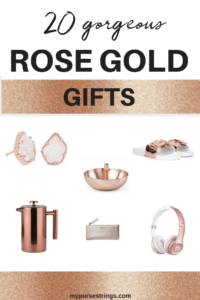 Did you know that Nordstrom now carries home goods and accessories from Anthropologie? Squeal! 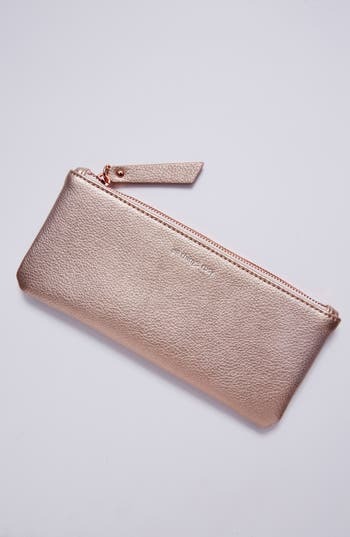 Although labeled a pencil case, you could easily use this for cosmetics or organizing your purse. 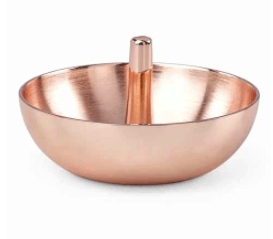 Even if you don’t drink Moscow Mules (a delicious blend of vodka, ginger beer, and lime juice), these handcrafted copper mugs make a great addition to any bar. I rarely light candles anymore but still love a flickering light for ambiance. I’m putting these lanterns in the family room. In a proud moment tonight, daughter declared, “Did you know pink is not really my favorite color? It’s gold.” She had no idea I was writing this piece. And then she clarified, “well, it’s I guess it’s still pink too.” When I told her about rose gold, her eyes lit up. She’ll be the only first grader looking for rose gold in the Crayola box. Want to save this post for later? Follow me on Pinterest!